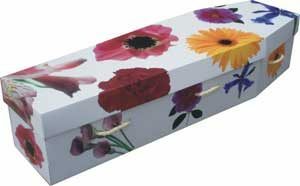 We have range of affordable and eco-friendly coffins. 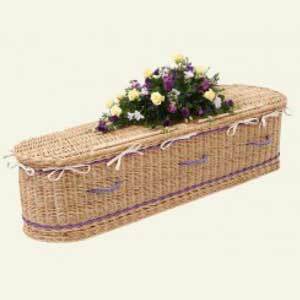 Coffins woven from bamboo or wicker look beautiful and lend themselves perfectly to embellishment with flowers, ribbons, and other memorabilia. 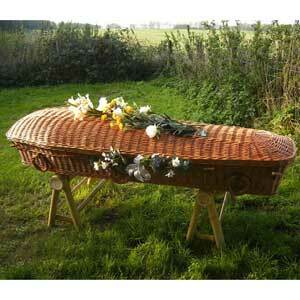 A cardboard coffin is a wonderful eco-friendly casket option, and incredibly affordable. 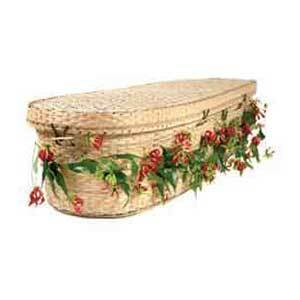 You may decorate or embellish in any way you wish that honours and reflects the life of your loved one! 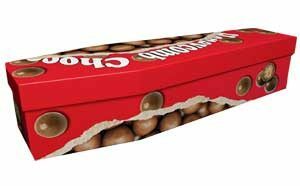 You can even purchase early and decorate your own! 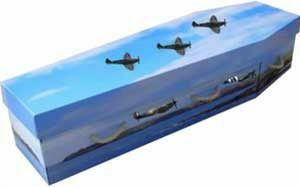 Take a simple cardboard coffin and turn it into a unique tribute that celebrates a life in an extremely personal way! 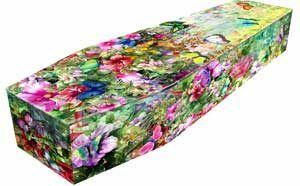 Imagine what could be done for a traveller, a cat lover, a bird watcher, a book worm a garden lover, a biker, a scuba diver, a wine lover, a foodie, a football tragic, an amateur astronomer, a patchworker - the possibilities are endless! 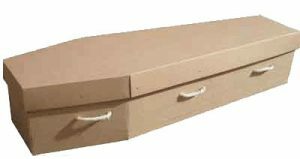 The basic cardboard coffin, without handles, comes in 3 sizes: Small $450, Medium $550, and Large $700. 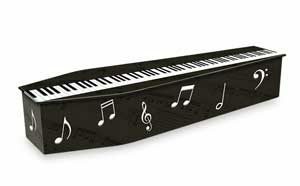 We can supply a set of baked handles for an additional $50.00, or you may prefer to source your own handles to match the decorating theme, such as simple rope handles. Look at some of the suggestions below - and imagine how you could decorate with your loved one in mind. 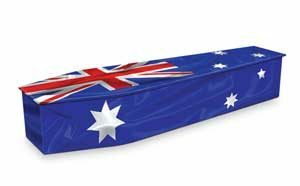 Please note - these are only suggestions, Returning Home supplies the undecorated cardboard coffins ONLY.